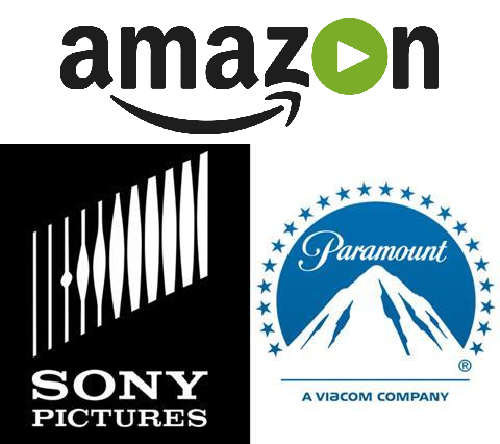 Amazon is having discussions with two of Hollywood’s most troubled film studios, Sony Pictures and Paramount Pictures, for opportunities to create new films for their Amazon Prime streaming service. According to Deadline, Amazon has had talks with the two studios, who alongside Walt Disney Pictures, Twentieth Century Fox, Warner Bros., and Universal Pictures, form the “Big Six” in Hollywood. To say that there’s been upheaval there in the past few years is something of an understatement, as Disney has bought Fox (a deal which should be fully-approved in the first half of 2019), Warner Bros. has become an acquisition of AT&T, and Comcast acquired Universal with plans to expand using Sky as all three groups look to get a foothold in the streaming market. Given that Sony and Paramount are left out of this equation, it would only make sense that they’d be open to look for potential partners. The financial success of The Cloverfield Paradox, which was intended for theatrical release before going straight to Netflix immediately after the Super Bowl, is a reason why Amazon is apparently thinking that this could be a viable option, even if the movie itself wasn’t considered anything special. With this in mind, it appears as though Amazon is considering this option not to increase their overall output (as they see Amazon Prime as only a small part of their greater services as a tech conglomerate), but to make use of intellectual property. Even if both Sony and Paramount decline this kind of a deal, it certainly seems like they’ll need to do something as streaming continues to radically change the face of the entertainment industry. Both companies have struggled at the box office in recent years, and with a shift away from traditional moviegoing experiences changing the game, they have to find out a way to adapt or risk becoming someone else’s purchase.